This week two sophisticated corporations faced an unwelcome PR challenge. AT&T and pharma giant Novartis were confronted with awkward and pressing questions about “consulting” payments each made to a company set up by Donald Trump’s personal lawyer Michael Cohen. In each case, the public response left a lot to be desired. Cohen is under criminal investigation for improper business dealings, and Essential Consultants is the same LLC that disbursed the famous $130,000 payment to adult film star Stormy Daniels in October 2017. On Tuesday Michael Avenatti, the ubiquitous, cable-news-friendly attorney who represents Daniels, released bank records of payments to Cohen’s LLC. Those named were clearly caught flat-footed. 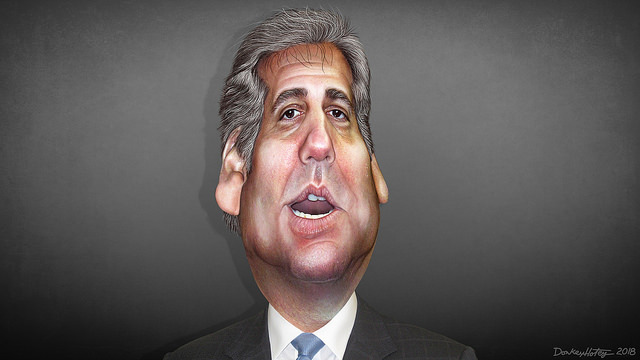 Cohen is a New York lawyer with a background in real estate, not regulatory reform or tax policy. The skepticism around its explanation must have been obvious to AT&T. Social media was ablaze with speculation that the payments represented a quid pro quo related to its planned multibillion-dollar merger with Time Warner. The company followed up quickly with a more candid admission. It explained that the relationship was “to pay for an understanding of the inner workings of Trump.” The statement added that it had been contacted in late 2017 by Special Counsel Robert Mueller’s office and had “cooperated fully.” Talk about burying the lead. As with many rushed public responses, AT&T’s handling of the situation was not very skillful. It would have fared better with a single, fuller explanation of the relationship, even if it had come later. While no response can sugar-coat the fact it paid a wholly unqualified “fixer” such large sums, it’s not unusual for corporations to engage people with ties to an incoming administration. They might also have reminded us that Trump’s election was a surprise that caught many companies unprepared, and that they were naturally looking for an entrée. No kidding. Its first statement assured us that the $1.2 million Cohen contract was written under the prior Novartis CEO, not the current chief executive. It was defensive and woefully incomplete. Apparently realizing this, Novartis launched into the same real-time updating mode that AT&T adopted. It released new information describing the Cohen contract as a way to learn how the new administration “approached healthcare policy” and disclosed that it, too, had been questioned by the Special Counsel. Overall, the update raised more questions than it answered. Really? Novartis is a $50 billion, publicly traded corporation. Who commits to a seven-figure engagement where no satisfactory work can be delivered, and with no termination option? How is that a good use of corporate funds? And why bring the CEO into it in the first place? At a company their size, the chief executive isn’t likely to approve such agreements. The whole thing smelled like a clumsy attempt to explain away a reactive and embarrassing business investment. It’s particularly ill-chosen because Novartis isn’t a stranger to reputation problems. Just three years ago it suffered a scandal over kickbacks to specialty pharmacies and ended up settling with the DOJ for $390 million. The internal communication is a more appropriate use of the C-level voice, and although you can quibble with the personal tone in the note, it is heartfelt. More importantly, it acknowledges the error, explains it briefly, and pledges to do better. And maybe if both AT&T and Novartis had slowed down and followed that playbook at the outset, they’d be better off today. But stay tuned; there may be more to this story yet.